Vivo V7 selfie smartphone has been launched in India, just a week after Oppo F5 went on sale in the country. Key highlight of the new Vivo V7, apart from the 24-megapixel front camera with 'Moonlight Glow' flash, is the 5.7-inch display with bezel-less design and 18:9 aspect ratio. The new Vivo V7 is a smaller version of the V7+ that was released in September, and retains much of the hardware, except the smaller battery, half the onboard storage, and a smaller display. The smartphone will be an online exclusive for Flipkart in India, though it will also be made available via retail stores. The Vivo V7 price in India is Rs. 18,990, and it will go up for pre-booking on Flipkart from Monday itself, with the first sale on Friday, November 24. At retail stores, it will be become available to buy from Saturday, November 25. Flipkart has detailed Vivo V7 pre-booking offers, which include no-cost EMIs, one-time free screen replacement, exchange offers (up to Rs. 18,000 off and additional Rs. 2,000 exchange discount), free couple movie voucher from Bookmyshow, extra 5 percent discount on Axis Bank Buzz credit cards, and, priority delivery. The dual-SIM (Nano) Vivo V7 runs Funtouch OS 3.2, based on Android 7.1 Nougat. The smartphone sports a 5.7-inch HD+ (720x1440 pixels) FullView IPS display with an 18:9 aspect ratio. It is powered by an octa-core Snapdragon 450 SoC clocked up to 1.8GHz, coupled with 4GB of RAM. The smartphone has been launched in its Champagne Gold and Matte Black colour variants. The Vivo V7 sports a 16-megapixel rear camera with flash and an f/2.0 aperture, apart from a 24-megapixel front camera with a soft 'Moonlight Glow' selfie light and an f/2.0 aperture. The smartphone bears 32GB of inbuilt storage that's expandable via microSD card (up to 256GB) with a dedicated slot. 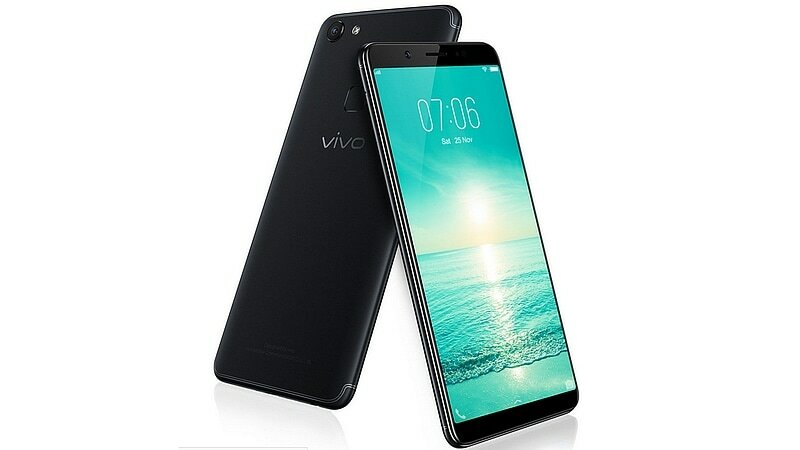 Connectivity options on the Vivo V7 include 4G VoLTE, Wi-Fi, Bluetooth v4.2, GPS/ A-GPS, Micro-USB, and FM radio. Sensors on board include accelerometer, ambient light sensor, digital compass, proximity sensor, and virtual gyroscope. It sports a 3000mAh, measures 149.3x72.8x7.9mm, and weighs 139 grams.